Homeowners’ request. A new-build home that would be clean, modern, warm, inviting and timeless. Other special features. Alder wood lower cabinets in a midtone stain. Upper cabinets painted in Benjamin Moore’s Chantilly Lace. Walls painted in Benjamin Moore’s Classic Gray. Quartz countertops. Homeowners’ request. 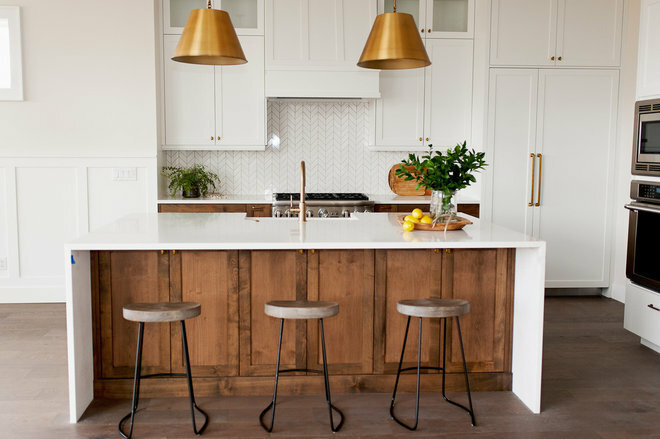 A modern, fresh kitchen with an unexpected cabinet color. Other special feature. Marble hexagonal tile backsplash. Homeowners’ request. 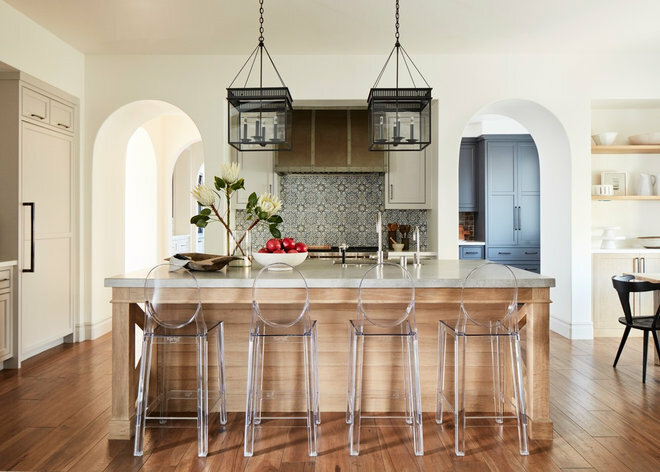 A new-build home “durable enough for everyday family life while also being elegant and gracious to entertain friends,” designer Amanda Teal says. Other special features. 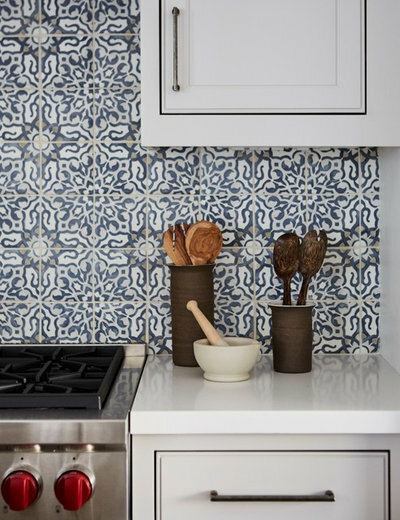 Handmade terra-cotta tile backsplash. Limestone slab island countertop. White oak island base. Homeowners’ request. Clean and simple with an industrial twist. Finishes. Blackened-nickel industrial pendants. Stainless steel backsplash and appliances. Chrome hardware. 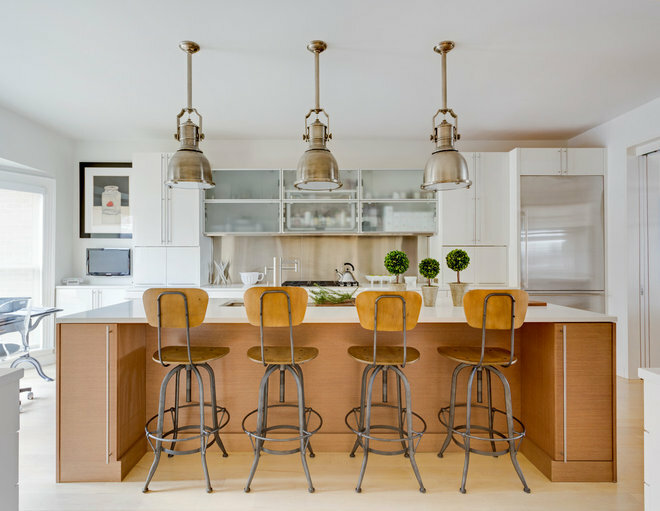 Steel-and-wood bar stools. Other special features. White lacquered cabinets. Frosted glass uplift cabinets. Polished quartz countertops. Rift-sawn oak island base. 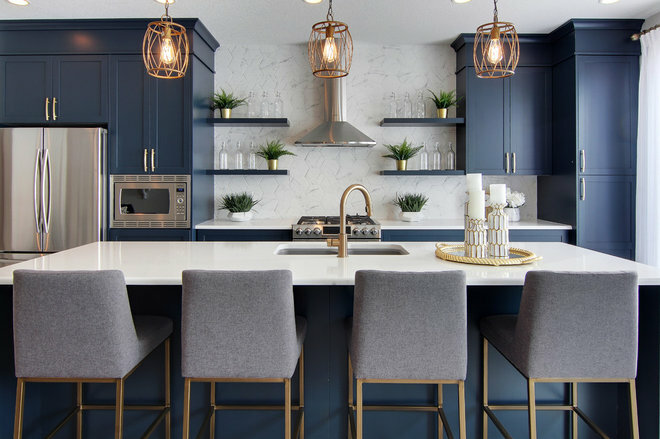 “We liked the sheen and sleek finish with the juxtaposition of texture and warmth in this kitchen,” designer Scott Paterek says. Homeowners’ request. 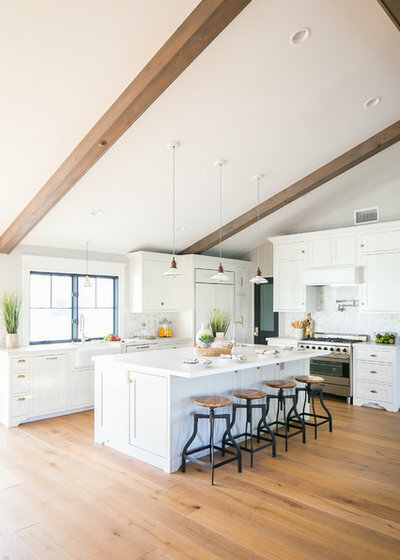 Modern farmhouse with Southern roots. Finishes. 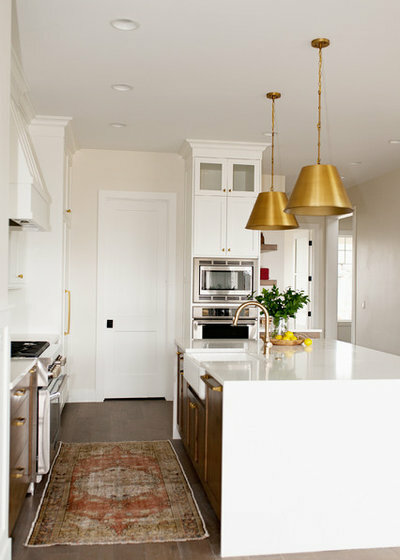 Brass cabinet hardware with vintage-style latches. Satin nickel faucets. Vintage metal light fixtures. 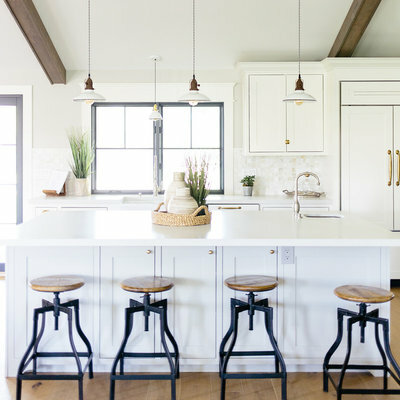 Black steel-and-wood bar stools. Other special features. Painted cabinets with Shaker fronts. Calacatta marble mosaic tile backsplash. Quartz countertops.